2018 Ford Taurus For Sale In Vernon, Kelowna, Okanagan, BC. Integrating modern performance with a timeless design, the 2018 Ford Taurus enables you to do it all. You are given advanced drivability through a sleek four-door design with seating for five as the incredible engine options deliver power where you need it most. 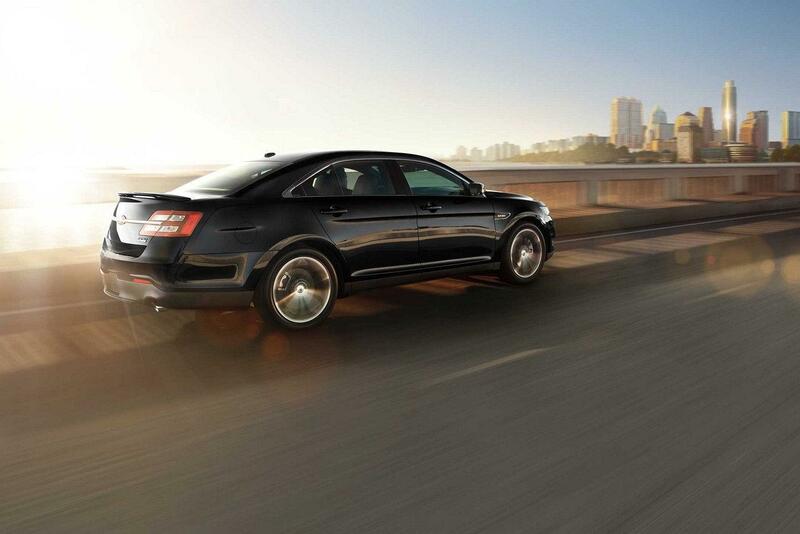 Available trim levels include the SE, SEL, Limited, and the SHO. Sophisticated in every way, the 2018 Ford Taurus elevates functionality as it delivers everyday luxury. Enjoy available woodgrain trim and Ice Blue instrumental lighting for a refined touch as the available perforated leather seats maximize comfort. You are also given an available 10-way power driver’s seat to help you find the perfect position on seats that come with available heating and cooling in the front. No matter what the preferences of your passenger are, remain satisfied with help from the dual-zone electronic automatic climate control and its ability to provide two different front temperatures at the same time. BRing along a variety of cargo or passenger combinations with the versatility of the 60/40 split fold-down rear seats. Crisp design details and advanced aerodynamics come forward on the exterior of the 2018 Ford Taurus as you attract attention with elements such as a bold grille, sweeping rear spoiler and available quasi-dual exhaust and chrome tips. Ensure you are able to see and be seen through the daytime running lights and LED taillights, brightening up the path day or night. 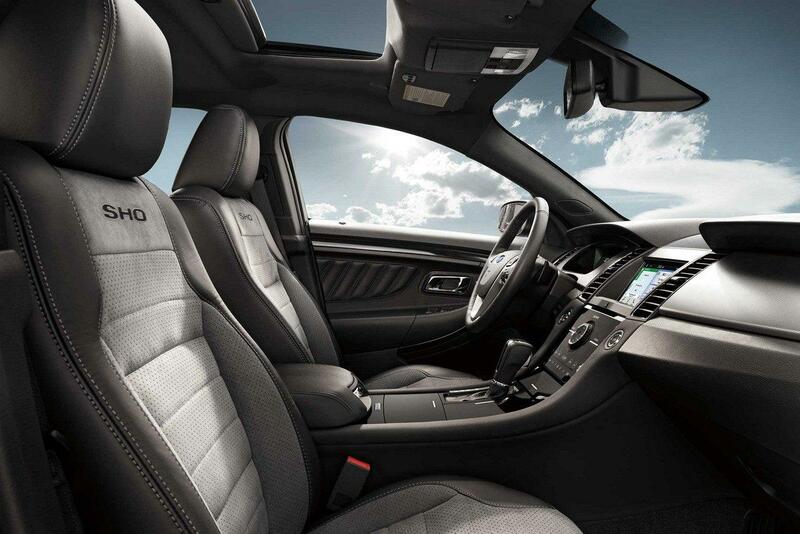 Take in the view with the available power moonroof, a coveted feature that brings your experience to the next level. Enjoy seamless communication in the 2018 Ford Taurus where the optional SYNC 3 system delivers convenience and connectivity. Through an 8-inch LCD capacitive touchscreen with Apple CarPlay and Android Auto smartphone integration, you can makes hands-free calls, send messages and more. You are also given the power of available voice-activated navigation for turn-by-turn directions to an array of destinations. Every driver has a series of specific preferences, and with the 2018 Ford Taurus, you are able to customize your ride to your liking through Genuine Ford accessories. Enhance interior protection with a hint of luxury through the carpeted front and rear floor mats. Keep your belongings secure and organized through a selection of cargo organizers or enhanced exterior protection through the addition of a hood protector. 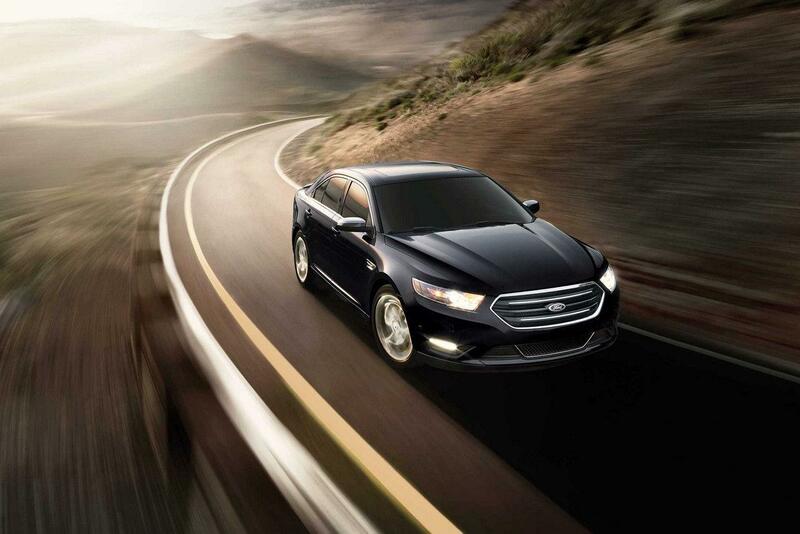 Driving enthusiasts cannot get enough of the incredibly powerful 2018 Ford Taurus. Featuring two engine options with a maximum horsepower of 365, you are able to explore without limitations. Furthering performance is the available all-wheel-drive system as it balances torque between front and rear wheels for enhanced handling and traction. Experience the power of the 6-speed SelectShift automatic transmission with shifter button activation, allowing you to override. Become one with the road as you experience the revolutionary power and refined styling of the 2018 Ford Taurus. Come in to Watkin Motors Ford and check out the 2018 Ford Taurus for yourself. You can trust your local Okanagan Ford Dealer – Watkin Motors Ford to have the model you are looking for.